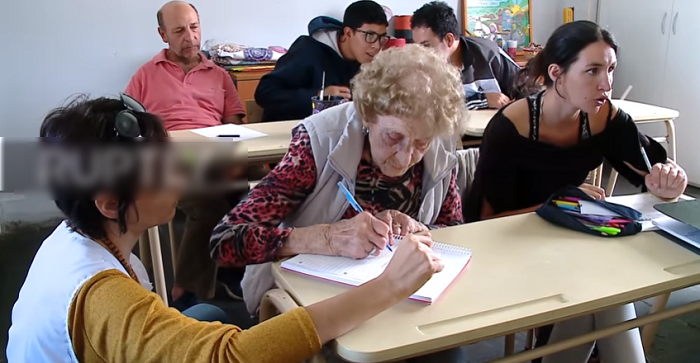 99-Year-Old Grandma Goes Back To School & Resumes Studies, Proves It’s Never Too Late To Start! For generations, women have had to make sacrifices when it came to education. While most girls weren’t given a chance to read and to write, the ones who did mostly didn’t continue and get the opportunity to earn a degree. Times have advanced for us now. A lot of women have an array of prospects in front of them. But if we were to ask our grandmothers, most of them would reason that either they got married early, or dropped out of schools to help in housework, which eventually led them to cut-off from education. 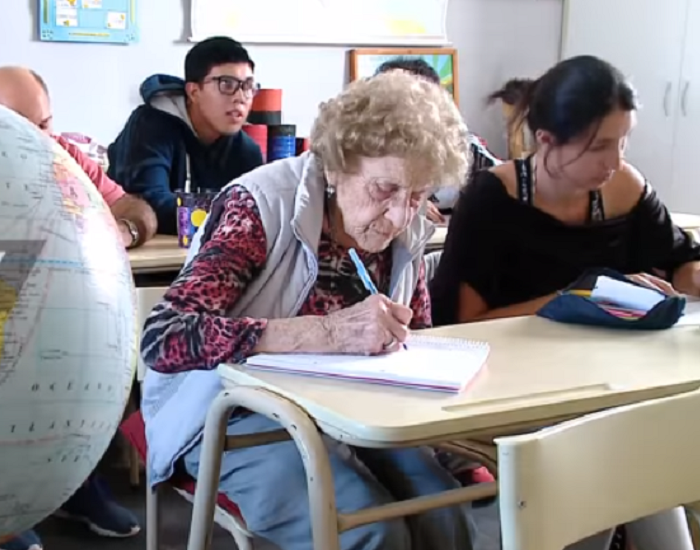 But as the saying goes “it’s never too late to start”, a 99-year-old grandmother from Argentina started attending school again, giving education another shot! According to Sputnik, Eusebia Leonor Cordal had to leave her studies at a very young age after facing several family problems, including the death of her mother. And now, she has taken to the classroom desk and chair again at Primary School for Adults of Laprida and has not missed a day since. 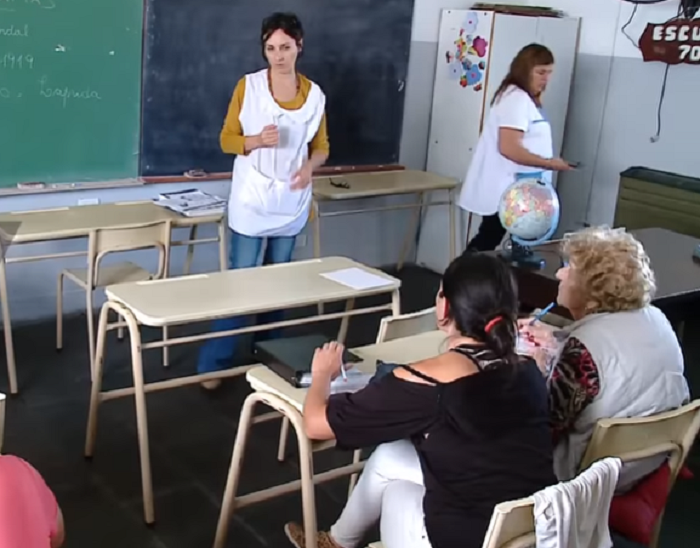 One of her teachers, named Patricia, picks her for school up every Tuesday, Wednesday, and Thursday. “When you get older, you lose a lot of memory. I knew the schedules very well, but when I came here I did not remember. I forgot everything, even how to write and read,” she told sources. But now she has learnt reading and writing afresh and makes it a point to remember everything she learns. Another daily revealed how grandma Cordal wants to learn using “new technologies” like the computer! A video that has been circulating the internet shows her sitting in class, taking notes, along with others who have decided to resume their studies as well. A lot of us regret not having learnt something we always wanted to. We feel “too old” to start over – to learn that new instrument, a dance form, to ride a bike, etc. But here, we have a living example telling us that age is just a number!